Buzz of the Week Pregnancy is all about decisions. Find out the gender? Eat sushi? Tell your boss? Tell the names? 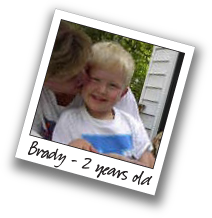 And, The Brady Kohn Foundation reminds us that there's one more really important decision to consider - donating your baby's cord blood, for free. This simple act can simply help save a life.